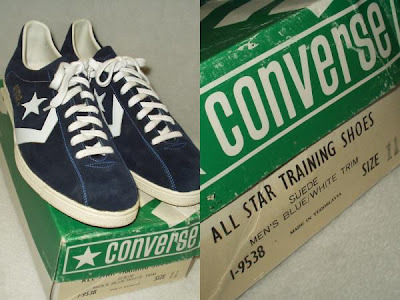 The Converse Blog: 'S Friday Flashback: Converse All Star Training Shoes. 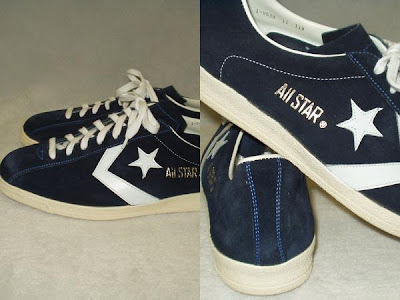 'S Friday Flashback: Converse All Star Training Shoes. 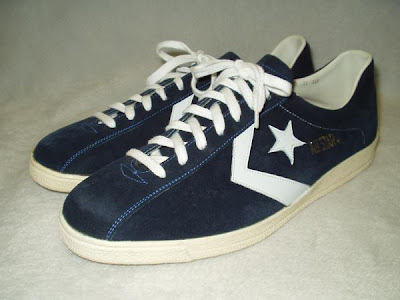 Hi all, welcome to The Converse Blog's Friday Flashback. Today we're going after the All Star training shoe. This is a classic training shoe in a very nice suede Navy/White colorway. I really wish I had a picture of the out sole but alas I do not. However, this shoe was re-issued a few years ago, so you might be able to find a pair floating around out there. Thanks for checking out the blog, have a great weekend! I have a pair, there a great color. A little stiff at first but they feel great there sick but the re-issue. I found them at Ross the other day.